Car Thief Spray-Panted Face To Hide From Police - Good Or Bad Camouflage? We just have to ask….. WHAT WAS HE THINKING?!? Note to criminals: If you plan on spray painting your face to camouflage yourself from the police, they will find you. 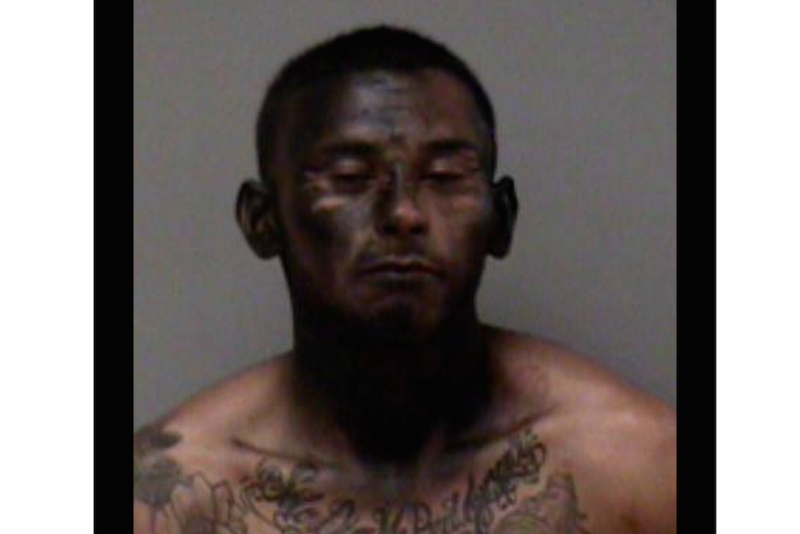 A man suspected of stealing a car fled from officers in Madera, California on Saturday night and spray-painted his face to hide. “The camouflage was ineffective,” said the city of Madera Police Department on its Facebook page. José Espinoza, 23, is being held on $35,000 bail. He faces “charges of receiving known stolen property, and theft and unlawful taking of driving of a vehicle,” KTLA 5 reports. Post by City of Madera Police Department. Maybe we should give him Kudos for his quick thinking?….. No, he’s an idiot!